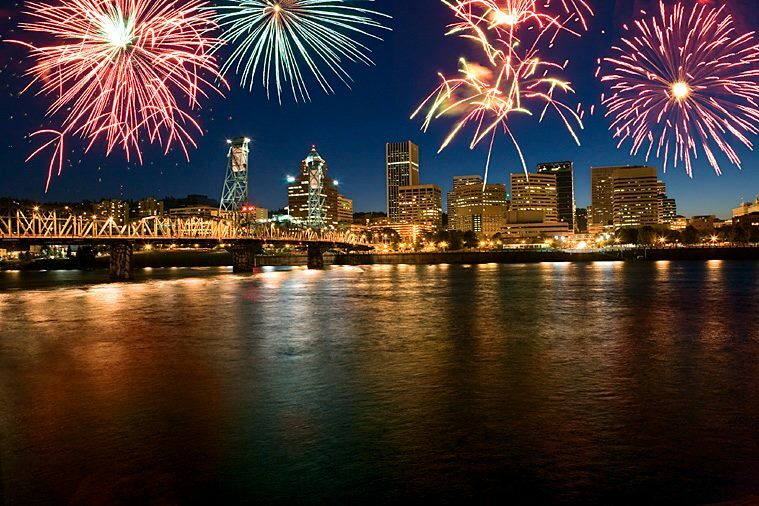 Enjoy the sights and sounds of Independence Day at Portland’s waterfront, and leave the driving to TriMet. 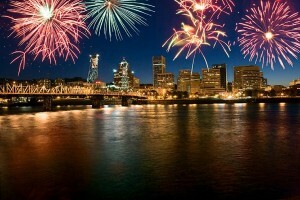 The Waterfront Blues Festival and the fireworks show on the Fourth of July are popular attractions that draw many people to the Portland City Center. Avoid parking hassles by hopping on a bus or train. Several bus lines and all MAX lines serve the downtown area. Holiday service information is online at trimet.org/alerts/holidays. The Waterfront Blues Festival runs July 3 through July 6, with the Fourth of July fireworks display on Friday night. To help get you to and from the fireworks, TriMet will add extra bus and MAX trains as needed from about 9 p.m. until the end of service. Buses and trains may be crowded so be sure to plan some extra time. Four TriMet bus lines – 4, 6, 14 and 33 – will detour off of the Hawthorne Bridge from 8:15 p.m. until about 11 p.m. Buses will instead use the Morrison Bridge. To find out individual bus stops impacted by the detour, go to trimet.org/alerts on Friday. Since you will likely want to snap photos of fireworks or record some of the soulful sounds of the Blues Fest on your smartphone, why not make your phone your fare as well. Download the free TriMet Tickets mobile app for your Android or iPhone and you can buy fares for you and your family at anytime, anywhere. There’s no need to keep track of paper tickets; they’re stored in your phone. Learn how easy it is at trimet.org/mobiletickets.